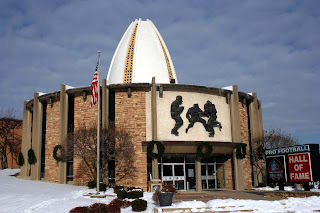 It is every NFL player's dream to end up here, the Pro Football Hall of Fame in beautiful Canton, Ohio. 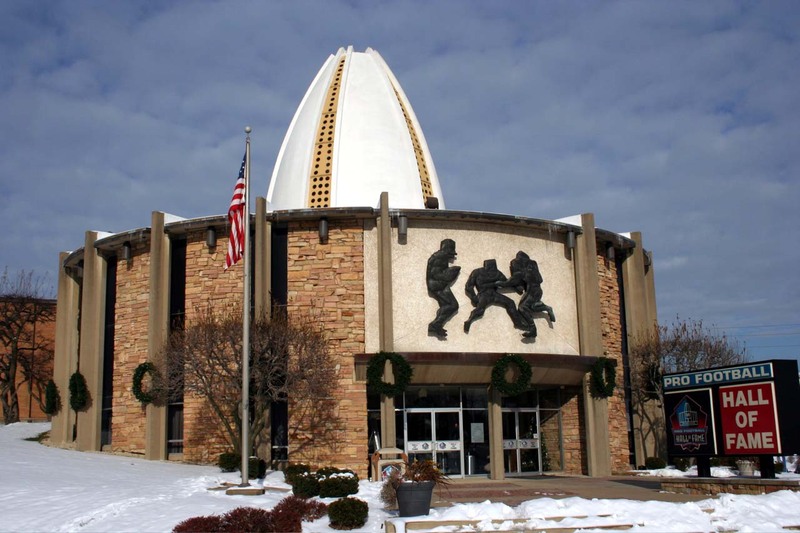 The Class of 2013 will be inducted this Saturday, February 2nd, the day before the Super Bowl. Who would I induct this year? Allen is making his first appearance on the ballot and I would be pretty surprised if he did not make it in the Hall this year. He made the Pro Bowl eleven out of fourteen years and earned the prestigious honor of being on the All-Decade teams for the 1990s and the 2000s. Not to mention, it was widely thought that he was also one of the strongest players ever. Ogden is another guy that is as close to a lock as there is on his first ballot as in a time with some Hall of Fame-caliber left tackles, he may have been the best. In fact, Ogden may have been the best ever. It is hilarious to think that the Ravens thought about taking the legendary Lawrence Phillips instead of him. He was a brilliant pass and run blocker and was a key figure in the Ravens' consistent run of success. Plus, he made the Pro Bowl all but one year in the league. Parcells is a guy that I did not put on my hypothetical ballot last year but I realize my prior errors and I think he should get in, and not just because he is a Bergen County native. Parcells won a pair of Super Bowls with the Giants, who were mediocre for years before he took over, and he led four different teams to the playoffs over three decades, and you can make a case that every team was better off when he left than when he got there. And his coaching tree is remarkable. Here is how good a guy is: if teams are looking for the next version of you, that's a sign you are damn good. Sapp was one of the most disruptive lineman of my lifetime and he had one hell of a run from 1997-2002 when you had a case that he was the best defensive player in football. He was All-Pro four consecutive years from '99 to '02 and was on the All-Decade team for the 90s and the 2000s. I don't care if he was not the best guy in the world, he deserves to be in the Hall. Strahan was more than just an excellent pass rusher, he was also a very good run defender at the left defensive end spot, which is a spot that is not the top rusher side, which is usually on the blindside. He sits fifth all-time in sacks and set the single-season record in 2002, even though the record-setting sack against the Packers was garbage and not really a sack (I was there). Strahan made seven Pro Bowls, was an All-Pro five times and was a key leader for two Super Bowl teams. How good is Joe Flacco? Did Ray Lewis use deer-antler extract spray?